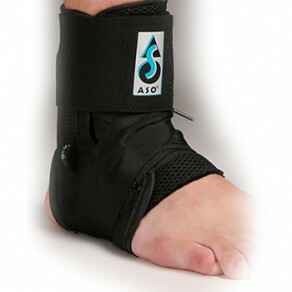 Great choice for the prevention and/or treatment of ankle sprains. Features and benefits include 2 ballistic nylon straps which “figure 8” around the ankle to replicate taping, limit inversion/eversion and hold the ankle in its neutral position. The lace-up closure allows for patient-friendly application. And the low-profile design of the brace will fit in any shoe. Bilateral capability. Made in the USA ensures excellent durability.